Al Cabral is Associate Professor and Director of Graduate Management Programs with Nazareth College in Rochester NY where he coordinates three graduate management programs: MS in Management, MS in HR Management and MS in HR Development. Al teaches courses in human resource management, organizational behavior and career planning at the undergraduate and graduate levels. Previously Al was Director of Internships at Nazareth where he developed and coordinated a college-wide internship program that placed students in experiential learning assignments locally, nationally and internationally. Al is Past President of NSEE and Past President of the New York State Cooperative and Experiential Education Association. He was a founding member of the Advisory Committee for New York Campus Compact and currently on the Board of Directors for the Rochester Career Mentoring Charter School. He rejoined the NSEE Board of Directors in 2016 as Historian. Al has published and presented at local and national levels experiential learning, service-learning, internships, and career decision making. He received the Outstanding Faculty Advisor award from the National Academic Advisement Association. Al has an MBA from Syracuse University and MS in Career & Human Resource Development from Rochester Institute of Technology. 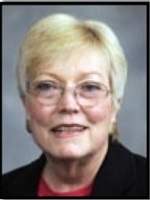 Dr. Sheri Dressler directed the Office of Experiential Learning at the University of Central Florida for 30 years while serving on the faculty in the Counselor Education department. The programs she developed assisted over 20,000 students annually in cooperative education, internships, and service-learning and won numerous awards for innovation, quality, collaboration, and institutional commitment. Dr. Dressler has published in the experiential education field, held leadership positions on national and state professional boards and given presentations and workshops nationally and internationally. She has served on research committees, worked collaboratively with other researchers to support national and international research initiatives, and served as the Consulting Editor for the Journal of Cooperative Education for many years. She also has an international focus having worked on projects in China for 20 years, and currently serves on the WACE International Research Committee and on the National Society for Experiential Education (NSEE) Board of Directors. 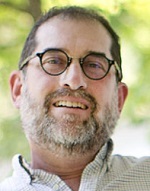 Eric Fink as Associate Professor at Elon University School of Law in Greensboro, NC. His teaching and scholarship focus on labor and employment law, and he has written on legal issues pertaining to student internships. While in legal practice, his clients included faculty and staff members at public and private colleges and universities. Eric is NSEE’s resident expert on legal issues in internships and experiential education, and has led dozens of EEA seminars on Legal Issues in Experiential Education. Dr. Maureen Drysdale is Professor of Psychology at St. Jerome’s University and Adjunct Professor in Applied Health Studies at the University of Waterloo. She is the Director of the Well-Link Lab where her research focuses on Mental Health and School-to-Work Transitions. She leads a large research team dedicated to examining the health, attitudes, behaviors, and skills believed to be important for successful school-to-school and school-to-work transitions. Dr. Drysdale has spent considerable time over the years researching the role of experiential education on overall well-being, career readiness, and school-to-work transitions. She developed an intensive service learning course and throughout her career has supervised numerous students engaged in multiple forms of experiential education. Finally, she has served as a consultant with professional organizations establishing and assessing learning outcomes; measuring and assessing psychological constructs and mental health; conducting needs assessments, quality assurance, and training evaluations; and setting standards and competency criteria for licensure and recertification examinations. Her expertise with the EEA is in Assessment, Reflection, and Service Learning. Marianna Savoca directs the Career Center at Stony Brook University – State University of New York - on Long Island, NY, where she oversees career development, experiential programs, internships, co-op, student employment, diversity recruitment, corporate engagement, graduate career services, alumni career services, and a Peace Corps Recruitment Office. In that capacity she has held leadership roles in the profession and done significant consulting work for career services and experiential programs nationally and internationally. 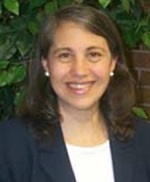 Dr. Savoca is an adjunct faculty member in the graduate program in Higher Education Administration, co-chairs the university’s Experiential Learning Working Group, and serves on the SUNY Applied Learning Advisory Board. She is a member of the NSEE Board of Directors and coordinates the EEA. 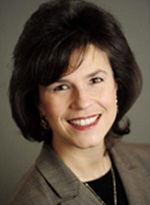 Dr. Savoca earned her doctorate from Colorado State University, MS from Indiana University, and BS from SUNY Binghamton. Her first book, A Good Job: Campus Employment as a High-Impact Practice, is being published in 2018 by Stylus. Todd Robert Petersen lives in Cedar City, Utah, with his wife and three children. 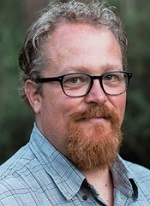 A graduate of the University of Oregon, Northern Arizona University, and Oklahoma State, Petersen is now a professor of English and the director of Southern Utah University’s project-based learning program. Before pursuing a career in academics, Todd Petersen was an Assistant Program Director for the YMCA of Greater Seattle, where he was in charge of curriculum and he internship program of an environmental education field center located in the Puget Sound. After hours, Todd is a fiction writer, and his next book, It Needs to Look Like We Tried, will be released in May 2018 by Counterpoint Press. A second novel, Picnic in the Ruins, which is about Native American antiquities theft, will follow in 2019. Jeb Branin began his career in higher education as a theatre instructor, director, and costume designer. In the mid-90s he spent two years teaching in the ETTI (English through the Internet) program as domestic co-instructor with Dr. Elaine Hoter from Talpiot Teachers College in Tel-Aviv, Israel; the first ever course of its kind. He also taught college theatre courses in the Utah State Prison system. In addition to the theatre, he has dedicated his career to working with students in transition through academic advising, orientation, and experiential education. 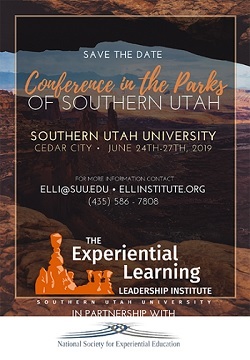 He is currently the Associate Dean and Executive Director of Experiential Education in Southern Utah University’s School of Integrative and Engaged Learning. He was part of the team who created SUU’s award-winning experiential education “EDGE Program.” He also designed and serves as the director of SUU’s “Theatre in London” program taking students and community members to London to study theatre. 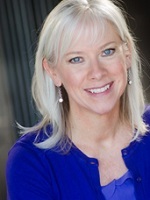 Christine Mahoney is Internship/Career Coordinator for the 2,000-student College of Media, Communication and Information at the University of Colorado Boulder. She handles both the student and employer side of the house, and also manages professional development workshops, career fairs, events and communications. Christine helped redevelop the internship program during the College’s expansion from a stand-alone journalism program to the six departments and multiple majors it houses today. She earned her Experiential Education Academy [EEA] certification in 2015 and her Global Career Development Facilitator credential in 2014. Christine is passionate about preparing all students for the challenges of professional life, and also strives to educate and engage employers and faculty in the process. Dr. Shara Lee currently serves as a campus director for Faculty & Instructional Development at Valencia College focusing on experiential education faculty development. 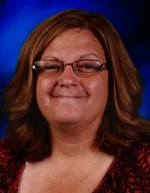 She joined Valencia in 2013 after five years with the University of Central Florida as a faculty member with the Office of Experiential Learning. Her doctoral work in experiential learning earned recognition as the National Society for Experiential Education’s Outstanding Education Research Award in 2013. Dr. Lee holds a bachelor’s degree in interpersonal and organizational communications from the University of North Carolina at Chapel Hill, an MBA from Stetson University and a doctorate in educational leadership from the University of Central Florida. Teri Triguba Williams is the Director for the Office of Experiential Education & Learning (ExEL) at Nova Southeastern University (NSU) in Fort Lauderdale, Florida. As an adjunct faculty member, Williams teaches graduate and undergraduate students. Under Teri’s direction, experiential learning became a graduation requirement for undergraduates and catalyzed an educational and cultural shift at NSU. Williams established annual Experiential Education Academies at NSU for faculty, professional staff and leadership, validating the practice of teaching with experiential education as an anchor for best practice. Prior to NSU, Williams was a catalyst for positive systemic change for Broward County Public Schools (BCPS) in South Florida, providing the development of critical, policy-based training for over 10, 000 educators and school leaders at 250+ public and charter schools. Williams has presented at state and national conferences in education best-practices, prevention, intervention and diversity issues in education. Williams has published in the area of teaching peace, and is the recipient of the 2011 Voice for Equality Award. Williams has a BS in Education from Ohio University and PhD in Conflict Analysis and Resolution from Nova Southeastern University. 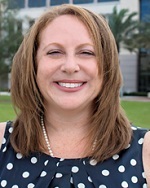 Stephanie Thomason is an associate professor of management and an associate director of the TECO Energy Center for Leadership at the University of Tampa. 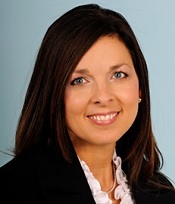 As part of her role in the Leadership Center, she heads its MBA coaching program. She has served on the Board of Directors for the National Society of Experiential Education, currently as president. She has published or presented more than 40 articles in peer-reviewed journals, textbooks, and national and regional conferences. 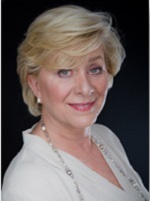 Her publications can be accessed from journals such as Human Resource Management, International Journal of Selection and Assessment , the Journal of Cross-Cultural Psychology , the Journal of Global Information Management , the International Journal of Innovation Management , the Case Journal and the Journal of Small Business and Entrepreneurship . She has presented seven papers at the Academy of Management Annual Conferences, along with a variety of other international and regional conferences. Prior to entering academia, she owned and operated several family-run businesses with multiple storefronts in South Florida. She additionally worked in the real estate, media and educational publishing industries. 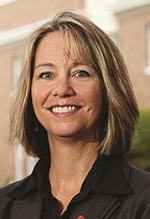 Dr. Dell Ann Janney is the Associate Dean of Instruction and Professor of Accounting at Culver-Stockton College (C-SC) in Canton, MO. With twenty-five years in higher education, she chairs the MBA Program, teaches two graduate accounting courses in the MBA program, Intermediate Accounting, First Year Experience, and Professional Development. Janney oversees the Experiential Learning program at C-SC including faculty training and faculty development initiatives. In 2018, Dr. Janney launched the Experiential Education Academy at Culver-Stockton College with a goal to certify 100% of the C-SC faculty. She is the past Chair of the Business Division, former Faculty Trustee to the Culver-Stockton Board of Trustees, and presently oversees both the Online Campus, Instructional Technology, classroom design and technology and the HLC Quality Initiative. Dr. Janney has received the Helsabeck Prize for Excellence in Teaching and most recently was recognized as Advisor of the Year for her work as Financial Advisor to Chi Omega Sorority. She is also founder and chair of the Lewis Street Playhouse in Canton and manages real estate property with her husband. Dr. Beth Sheehan (formerly Jowdy) co-authored “Integrating Experiential Education into the Curriculum,” Chapter 2 within Strengthening experiential education: A new era published by NSEE in 2014. Beth earned her EEA Certificate of Achievement in 2009 and has since served as an instructor. Most recently, Beth completed a two-year term as the Director of the Center for Teaching and Learning (CTL) at Southern New Hampshire University (SNHU) during which time she was instrumental in bringing the EEA to the Manchester campus for a series of regional workshops. Prior to her CTL role, from 2010 to 2014 Beth was charged with designing and directing an innovative, experiential, integrative studies degree program at SNHU called College Unbound. College Unbound included individualized curriculum through which students integrated learning from three different contexts: internships, residence hall life and seminars. Additionally, Beth serves as a manuscript reviewer for the Journal of Experiential Education, the Journal of Management Education, the Management Teaching Review and the Academy of Management Learning & Education Journal. Beth currently serves as a member of Sport Management Department faculty in the School of Business at SNHU. Dr. Leilani Nautu completed her Ph.D. in Curriculum Studies, emphasizing Differentiation and Diversity Pedagogies. Dr. Nautu is a graduate of the National Society for Experiential Education's Experiential Education Academy. She has been an educational visionary promoting Experiential, Integrative, and Engaged Teaching for Learning through her professional experiences, which include being a curriculum developer, an instructional designer, a grant writer, a publisher, a faculty member, and professional development director. She currently serves as Executive Director of K12 Programs and Assistant Professor of Education at Southern Utah University. She also works closely with Southern Utah University’s School of Integrative and Engaged Learning, and its Experiential Education Learning and Leadership Institute. Dr. Ronald Kovach has served as both a chief academic affair and as a chief student affairs officers throughout his 35-year career. He has conducted numerous presentations on experiential learning at international and national conferences, taught in a variety of academic disciplines, and has publications on experiential education and student retention. While in the Purdue system, Dr. Kovach was awarded a $1.75 million grant from the United States Department of Education for experiential learning. For eight years Ron served on the Board of Directors of the National Society for Experiential Education (NSEE) as President, Treasurer, Past President and Director of the Experiential Education Academy. In 2017 he was awarded the Society’s Steuerman Award for Distinguished Service. 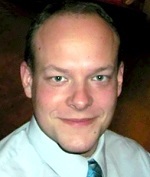 Paul Gaszak is the Dean of Academic Engagement at Robert Morris University Illinois in Chicago. In the role, he leads institutional initiatives in areas including faculty development, experiential education, student engagement, accreditation, and academic assessment. He was a faculty member in the English Department from 2007-17, which included terms as Curriculum Chair for English & Humanities and President of the Academic Council. 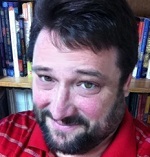 Paul holds a BA in English - Creative Writing from Lewis University in Romeoville, IL and an MA in Writing from DePaul University in Chicago, IL. Paul’s interest in experiential education is rooted in his own experiences in graduate school of taking his final MA courses abroad at the University of Cambridge, and then completing a teaching internship at Robert Morris University that led directly to working at the institution. 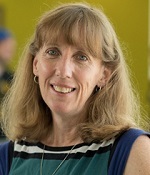 Donna Qualters is Director of the Center for Learning and Teaching (CELT) and Associate Professor of Public Health and Community Medicine and Adjunct Associate Professor of Education at Tufts University. She holds a BA from Boston College and a Ph.D. in Educational Studies from Lesley University, where she adapted an innovative technique called Dialogue to facilitate change in faculty teaching practice. Donna is a founding faculty member of the World Association of Cooperative Education (WACE) Institute on Experiential Education with expertise in faculty development, learning theory, ethical inquiry and assessment. She has been involved in experiential education research at Tufts University, Northeastern University, MIT, and the University of Massachusetts Medical School. Her books: Jonas Chalk: Advice from a Legendary Teacher and Experiential Education: Making the Most of Learning Outside the Classroom are written by teachers for teachers. Most recently she has been a visiting professor for Work Integrated Learning (WIL) at the University of Newcastle in Newcastle Australia. Donna has been honored by the Professional Organization and Development Network in Higher Education (POD) with their Innovations in Faculty Development Award, the ACE Women’s Network Women’s Leadership Award and the Tufts University Collaboration Award. George Pacheco Jr. is the Director for the Office of Experiential Learning and Campus to Community (C2C) at West Texas A&M University (WTAMU) in Canyon, Texas. From this role, George is developing a C2C Faculty Fellowship and a C2C Student Fellowship in the promotion of experiential learning across multiple facets of campus. He worked with students to create F1RSTGEN, a student organization dedicated to first-generation college students, and along with 3 other colleagues to develop the Hispanic Leadership Academy (HLA). George is also working with university administration to develop a campus-wide experiential learning program that seeks to engage all students across campus in experiential learning opportunities. Since joining NSEE, George has completed the Experiential Education Academy, and served as a member of the NSEE annual conference planning committee. Prior to joining WTAMU, George was a tenured professor of intercultural communication and director of the graduate program at Angelo State University. He has published and/or presented more than 30 papers in academic journals, textbooks, and at national, regional and state conferences. His research interests include first-generation college students, experiential learning, identity and stereotypes, and humor. 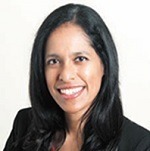 Rena Varghese is the Executive Director of the Nexus Center for Applied Learning & Career Development at SUNY Farmingdale State College. The Nexus Center connects employers and community organizations to students and alumni for career and experiential learning opportunities. Rena received her Juris Doctor from Cornell Law School, is an attorney admitted in New York, and practiced corporate law. She has also served at St. John’s University School of Law as a professor for law school courses, such as Legal Writing and the Externship Seminar corresponding to experiential learning. As an instructor for the Experiential Education Academy (EEA), Rena has led seminars on Legal Issues in Experiential Education, including at the SUNY Applied Learning Conference.